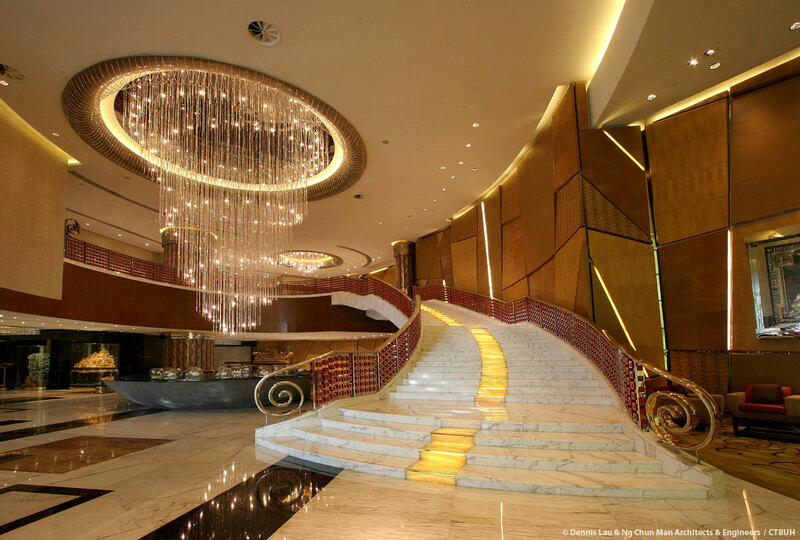 • Design Maunsell Consultants Asia Ltd. 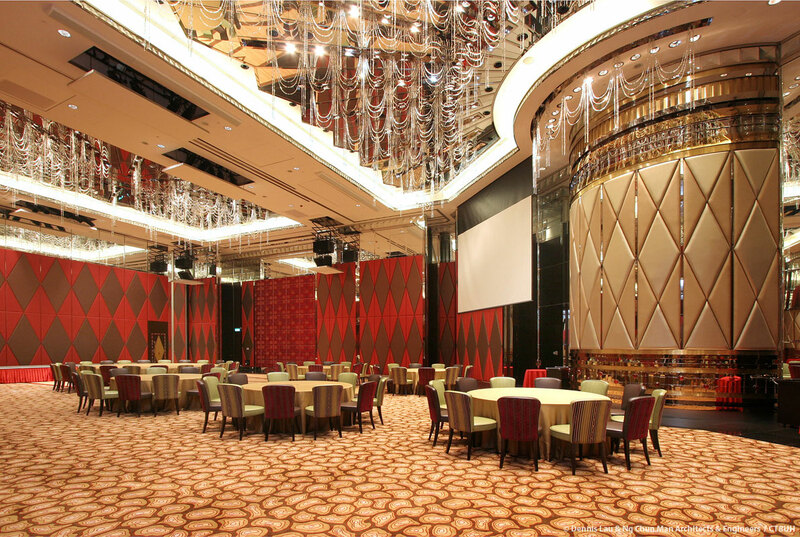 The clear instruction from the client for this project was to create a property that is absolutely original, unlike other recent casino developments in the area which replicate hotels in Las Vegas, USA. 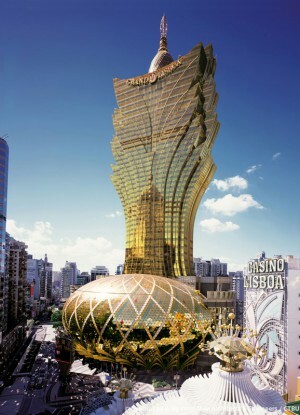 Instead the tower is intended to embody the unique vitality and spirit of Macau. 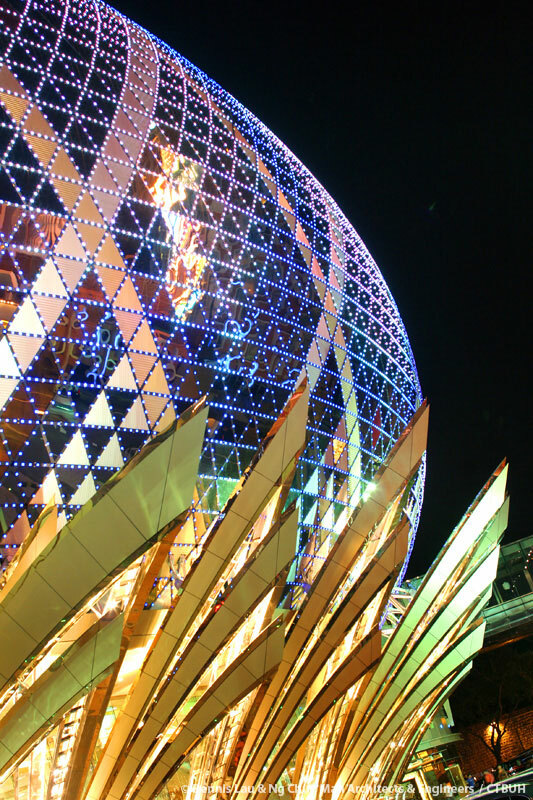 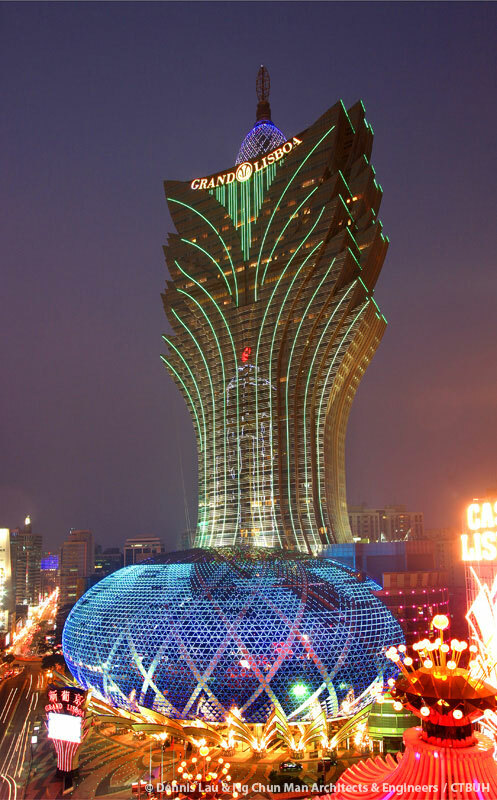 The boldly sculpted Grand Lisboa is the antithesis of the “veneered box” template that dominates contemporary casino development. 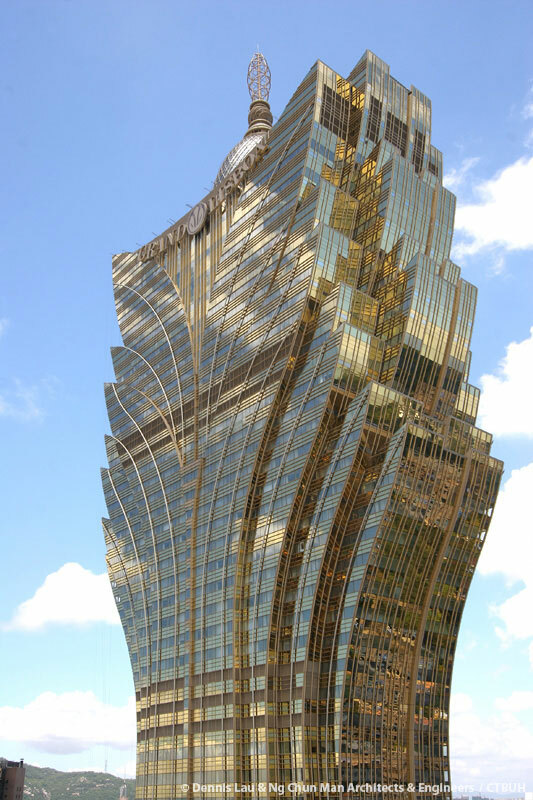 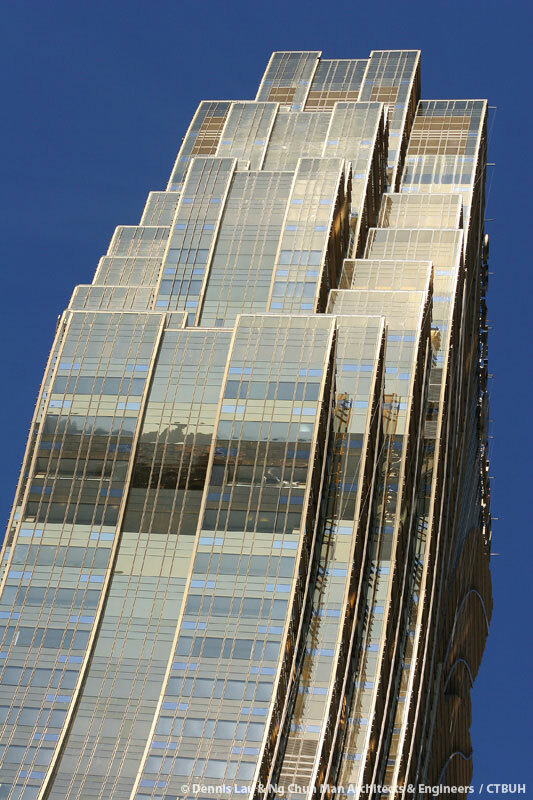 The rich and sensual form of the tower embodies the daring and flamboyant exuberance of modern Macau. 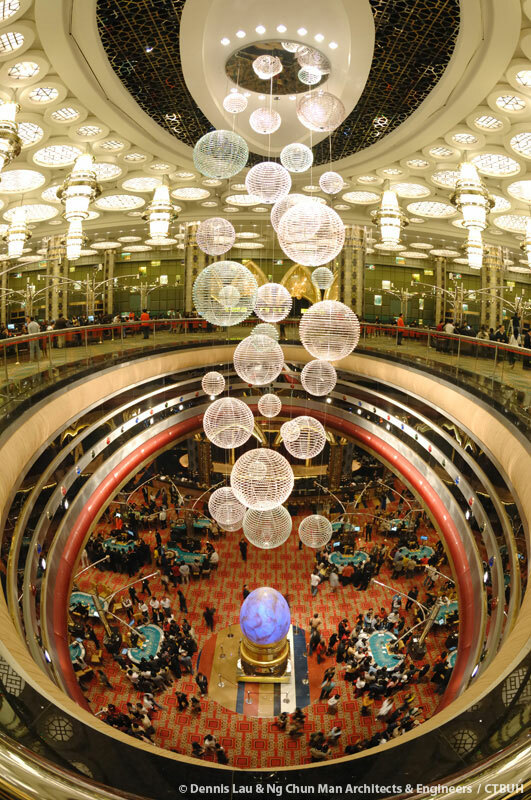 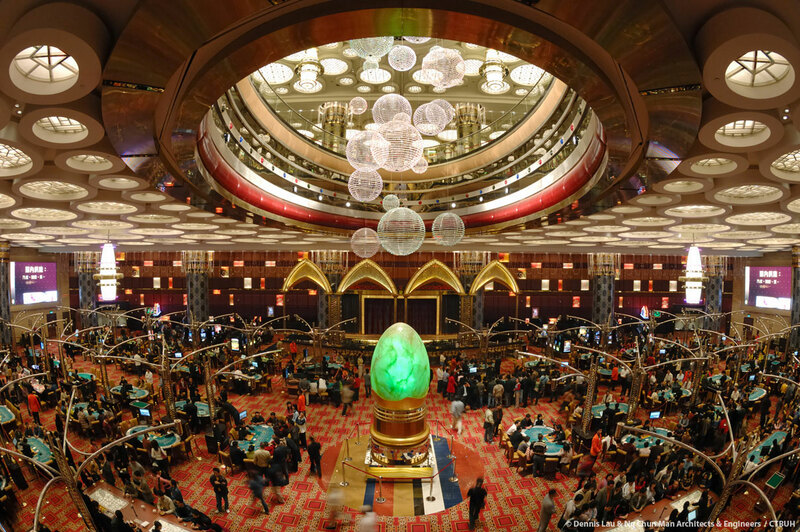 The tower was designed with multi-level long spans of over-hanging floors on two sides of the building to create a lotus leaf-like building form, and an elliptical shaped podium encloses the main gaming floors of the casino. 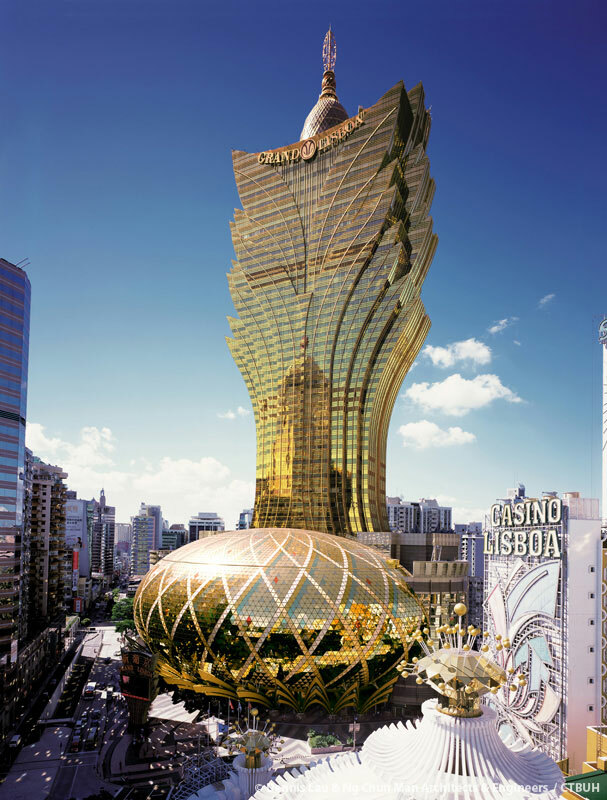 An inspiration for the feathered form of the hotel superstructure was the exotic head dress of a Brazilian show girl’s carnival costume, itself a reflection of the Portuguese influence shared by Macau and South America. 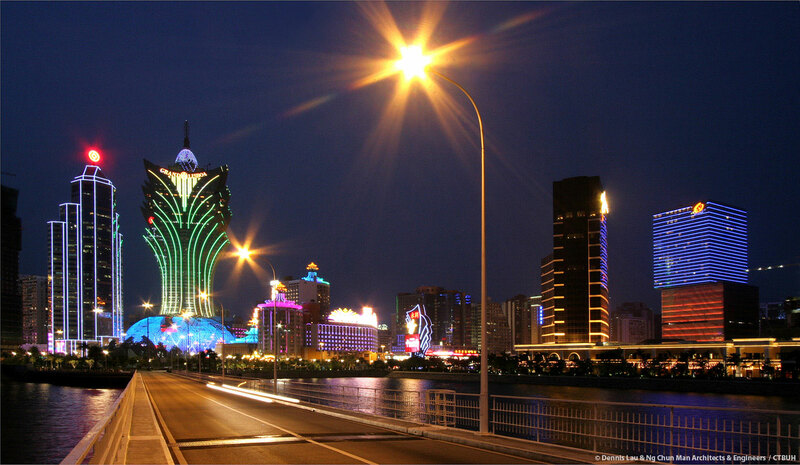 The plumes also evoke a blossoming lotus flower, the official emblem of the Macau Special Administrative Region.